Among the groat crops cultivated in Ukraine the largest acreage is occupied by the most valuable crop – buckwheat. It is one of the traditional and national agricultural crops. Buckwheat groat is delicious and healthy; it is not only popular national food but also widely used as a diet and curative product. Buckwheat is cultivated mostly as a crop for grits production. It is characterized by high content of starch (70 - 80%), protein (10 – 12%), carbohydrates and minerals especially phosphorous, calcium and iron salts. Buckwheat grain contains different organic acids which promote better food digestion. The composition of the grain includes essential for human body vitamins which predetermine curative and diet importance of buckwheat, and also microelements. Moreover, buckwheat is a valuable honey plant. In the time of favorable weather conditions one hectare of buckwheat provides 60 – 100 kg of high quality curative honey. 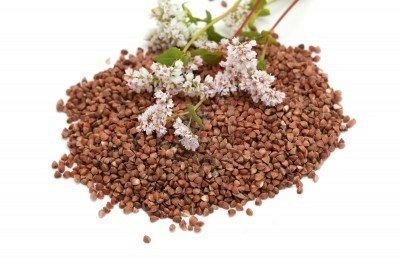 Buckwheat is used in pharmacology. Its leafs and flowers are used to get rutin that serves for sclerosis and hypertension treatment and for clearing the human body from radiant matters. Buckwheat has specific importance for fodder production. Small grains and offal that results after grains processing are used as fodder. Buckwheat straw is close to barley and oat straws by its fodder features (100 kg of straw includes 35 fodder units). Husk that is left after buckwheat grains processing into groat and containing 40% of potassium oxide is used as a valuable local potassium fertilizer. Buckwheat originates from India. Global acreage of buckwheat is about 4 mln. hectares. It doesn’t yield high: around 10 hundred kilograms per hectare. Buckwheat can yield up to 30 – 40 hundred kilograms per hectare when high agronomic technologies are used. In Ukraine in 2010 sowing acreages of buckwheat occupied 215,4 thousand hectares; 26 148 thousand tons were harvested as of November.